What is THCa? Tetrahydrocannabinolic acid, or THCa is a non-psychoactive cannabinoid found in raw and live cannabis, which actually exists in only minute quantities in the living plant. The non-psychoactivity of this cannabinoid is the main reason why ingesting cannabis in its raw form is unpopular among recreational users. Cannabis users however, are more likely to medicate using THCa since it possesses the same therapeutic benefits as THC without the high. THCa is the acidic precursor to THC. As cannabis dries, THCa slowly converts to THC. Alternatively, being exposed to heat and sunlight will also THCa is converted to THC. Heat expedites this conversion through a process known as decarboxylation. Another way to convert THCa to THC is to store the plants; cannabis is cured to convert the THCa into THC, as well as drying it out to make it easier to burn, thus releasing the remaining THCa as THC. Anti-Emetic – Reduces vomiting, nausea, and and appetite loss. Anti-Inflammatory – Reduces inflammation; for treatment of arthritis and lupus. Anti-Proliferative – Inhibits cancer cell growth; noted in studies of prostate cancer. Neuroprotective – Slows damage to the nervous system and brain; for treatment of neurodegenerative diseases. Every high-THC strain that has not yet been decarboxylated contains THCa, and these cannabinoid levels are particularly high as a live or freshly harvested plant. 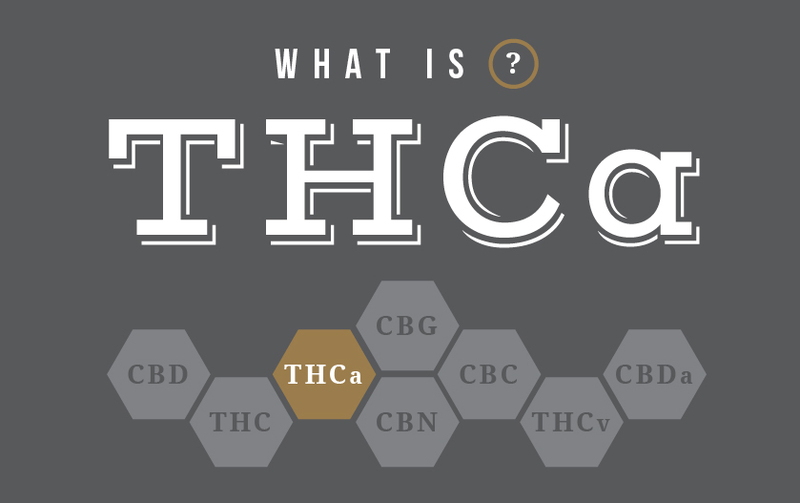 We hope we’ve answered your question of what is THCa. If not, you can always speak to any one of FARM’s knowledgable budtenders for dosing information, and other THCa alternatives.